Online Application Form , Web Options, Seniority Lists, Allotment Orders for AP Teacher Transfers 2017 download @cse.ap.gov.in. 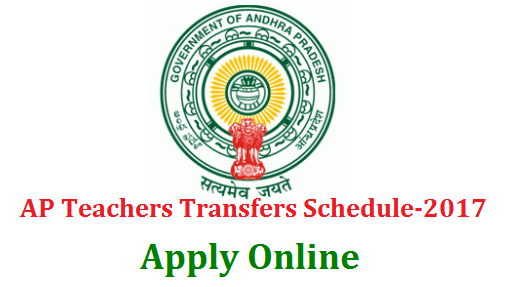 Online Application form has been placed in the website http://cse.ap.gov.in.The Teachers who are willing to Transfer and the teachers who have completed 8 years in one station should apply online for transfers from 09-06-2017 to 12-06-2017 . 2. In the home page , On the top click "Transfers 2017"
3. In the new opened page click on "Fill Application Form"
4. Fill the details as in the service register. Download Teachers Transfers Application New Points. Teachers who have submitted can download their Teachers Transfers Application from CSE Website. This option has been enabled. After submitting the Application, Teachers can any time download this application. If You have submitted the application, the Teachers Transfers Application is ready to download.